KAMPALA– Last Friday, December 14 was a sad day for the Ugandan young rapper Fik Fameica real name Walukagga Shafik after her concert dubbed ‘my journey’ flopped to the maximum. 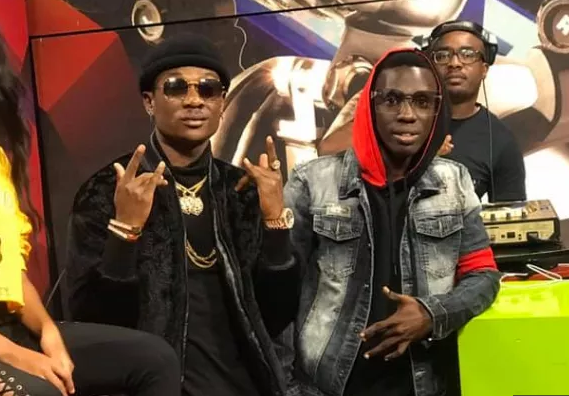 Fameica’s second major concert that took place at Kyadondo grounds left so many opinions on what could have let it that way yet the rapper has medium airplay and fans. In the same way, the respected local TV star Douglas Lwanga has come out with his opinion about the concert flop. Unlike others, the purple party CEO has put the blame to the Fameica’s concert organisers who he says they failed to read and understand the artiste’s audience thus fixing unaffordable ticket price. He says that Fameica’s audience is dominated by young people, most of whom are still students unable to raise 20k. “Here is why the turn up might have not have met your expectations. Fik Fameica Audience is largely the younger people,” said Lwanga in an opinion letter. “If this concert was 10k and maybe a little twist to accommodate the younger students in high school. Kyadondo would have been shut down,” he added. I had a lot going on that I couldn’t find time to share with you this regarding the Fik Fameica concert. Let me try and make a few things clear. I think it’s wrong to think that if an artist’s concert doesn’t get a good turn up then the artist isn’t a strong artist. I believe in Fik Fameica and i know he has a bright career ahead of him. For us to laugh, scorn, make fun and crucify him because if the Turn-up is wrong. Let’s share as to why you saw the turn up like that. One day a friend of mine told me to make purple party Entrance 20k at the uganda museum and I stupidly did so forgetting my target Audience. That was the Lowest Turn-up we ever registered at any purple party. The reason was the Entrance Fee being 20k not 10k for our target market. I went home so sad but again that was the year the idea of the doing the Tours was born. Lesson, when you fall pick yourself up and Move. “Situka otambule” Once an event organiser understands his Audience then you will choose the concert price wisely as well as the right venue. If this concert was 10k and maybe a little twist to accomodate the younger students in high school. Kyadondo would have been shut down. That concert was largely advertised with Billboards, Tv and Radio Banners not forgetting Banners and the rest. Am sure so many Fik Fameica Fans wanted to attend only the ticket price scared them. Them not attending doesn’t mean they don’t Love Fik. NO they couldn’t afford. The organizers should have known this. So don’t blame FIK. Regardless I salute FikFameica for putting up a very great Performance Live. Shame on all people that are speaking ill and especially fellow artists who are scorning him. Fik is talented and lets not pull him down like we Ugandans always do. One fall doesnt mean you will stay on the floor. Am so sure 2019 will be even greater for Fik. That was the only problem, i dont blame Fik, it was just an over sight. Mistakes are human. If you have never made one then lets crown you a saint.These mistakes are made by we event organizers and they certainly don’t reflect to the artist as weak. You have seen international concerts of celebrated artists flop because of various reasons not because the artist was weak. In summary concerts fail to get good turnup because of Ticket Prices, Unfavorable venue, Poor advertisement, wrong packaging, The Lineup, Season, Weather, and so many other reasons. I don’t believe people dont love FIK No. A few other things didnt play right but the boy is talented. I still believe in you FIK and I know you’re destined to do greater things. Lets move on. Keep making them dance. And to Ugandans the more we love our own the more this industry shall grow. Dont tear and break FikFameica. Let’s build him instead. One love. Stay Fresh Always. Fresh Bwoy.